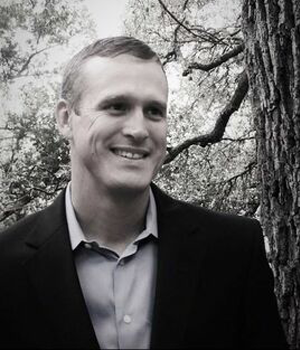 A lifelong Austinite, Jarred went work at Dell Inc. as a test engineer after graduating from college. Following a desire to get out of laboratories and cubicals, he left the high tech world and entered the world of real estate. Jarred founded The Happy Land Company, which specialized in the acquisition, restoration and preservation of rural land across Central Texas. Following a passion for supporting rural communities across the state, Jarred became involved with the Slow Money movement and his foray into the world of food and finance officially began. He has been the Local Leader for Slow Money Austin since 2011 and his work there laid the groundwork for what would become Foodshed Investors. Jarred is a lifelong Texan and a rancher, managing over 400 acres of family ranch outside Lampasas, Texas. He has a BS from UT, and lives in Central Austin with his wife Sommer and their young son. Curt’s a Minnesotan, from St. Paul. He earned a BA from the University of Minnesota, then, fleeing snow, an MBA from the University of Arizona. Hewlett-Packard claimed a decade of Curt’s life, where he was a finance and accounting manager and a marketing product manager. In 1996 he co-founded web software developer Silicon Space, which built custom collaboration, workflow, document management, and early private social network applications for Global 2000 clients. 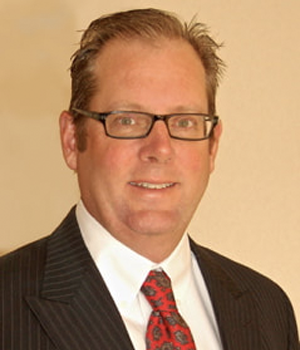 As Silicon Space's CEO, Curt was a Regional Finalist for Ernst & Young's 2001 Entrepreneur of the Year. The winner eventually went to jail, and Curt is still waiting for E&Y to contact him with a belated crown. In 2006 Silicon Space spun out the search engine marketing firm Covario, which they sold to Dentsu Aegis in 2014. Curt wonders "What if we were as conscious about our investing decisions as we are with the food we consume”? ​​Eric brings over 20 years of working in or advising small businesses. He served in the top financial role in three companies, an Intel-funded start-up, an IT services firm and a software development company. He was the managing member of an LLC with a proprietary investment strategy that outperformed the S&P 500 by more than 25% during the fund’s existence. He has been a financial and strategic consultant to small and mid-sized companies across a range of industry segments, including engineering, music, hospitality, renewable energy, higher education, and digital media. Eric initially moved to Austin to attend UT, where he earned a BA in Philosophy. He later earned an MBA from the University of California, Irvine, where he co-founded the Social Responsibility Initiative and served as the Associate Director of the Centers for Leadership Development and for Entrepreneurship and Innovation. 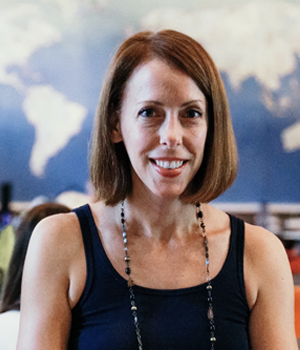 Amy acts as a senior advisor to Foodshed Investors, supporting development of the FI platform and working with entrepreneurs on business planning, capital structure and fundraising. She brings nearly a decade of experience in the impact investing field, currently as a consultant with Tideline, a boutique advisory firm providing tailored advice to asset owners and asset managers developing impact-aligned investment strategies, products, and solutions. Prior to Tideline she helped to lead the Sustainable Finance practice at JPMorgan Chase & Co., managing a $100 million proprietary impact investment mandate that helped to pioneer the market. Amy’s passion for healthy food systems started early, playing Supermarket Sweep in her father’s grocery store, and she’s been down that rabbit hole ever since. Evan has worked in food systems for the past 10 years. Most recently, Evan worked in Food Sourcing and Recovery at Central Texas Food Bank, where he worked with food businesses across Central Texas to recover and distribute surplus food. Prior to this, Evan was a Projects Manager and Farmers’ Market Coordinator with Sustainable Food Center where he managed the Farm to Work and Farm to School programs, in addition to the Downtown Farmers’ Market. 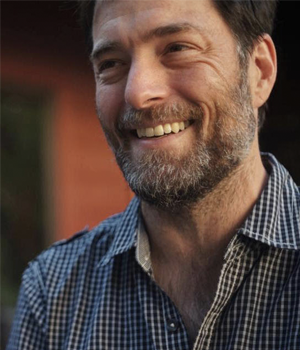 He also has experience in farm management, serving as a Farm Manager at Green Gate Farms in Austin, TX and owning his own small farm – Sasquatch Acre – in Portland, OR. 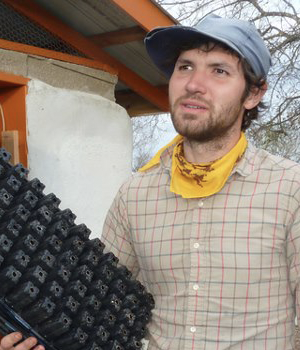 Evan co-founded the Central Texas Young Farmer Coalition, which helps connect new and beginning farmers from around the state. He serves as Treasurer on the Board of The Texas Organic Farmers and Gardeners Association, and is a Board Member of The Common Market - Texas Chapter. He, his wife, and two kids live in Austin.